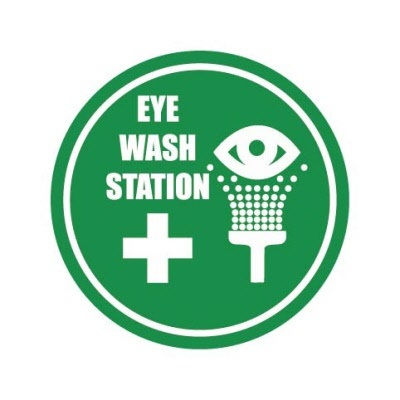 Eye Wash Station sign, Safety Floor Sticker Marker, 500mm Diameter. Floor Graphic made from White Permanent Non Slip Vinyl for long term outdoor use (up to 12 months). 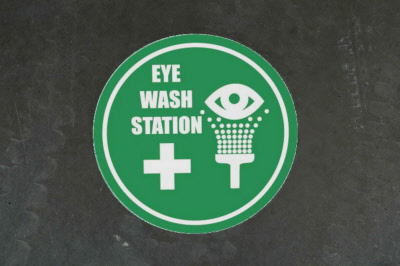 Minimum Online Order Quantity is 1 sticker. Durability of upto 12 months outdoor exposure subject to pedestrian foot traffic.